Time to open a new thread for KCH in year 2018. 2017 in KCH ended with some interesting traffic being spotted. May this year will witness more traffic too. Kindly share your photos snapped at KCH for this year on this thread. Any idea if A350 Jalur Gemilang making a trip to Kuching anytime soon? From what I know, we won't be seeing any A350 action here anymore. At least not regularly scheduled ones. Equipment upgrade also seems too slim a chance. If by any chance of equipment upgrade it could be most likely during the festive seasons, the nearest would be CNY and Eid in June. So keep praying. 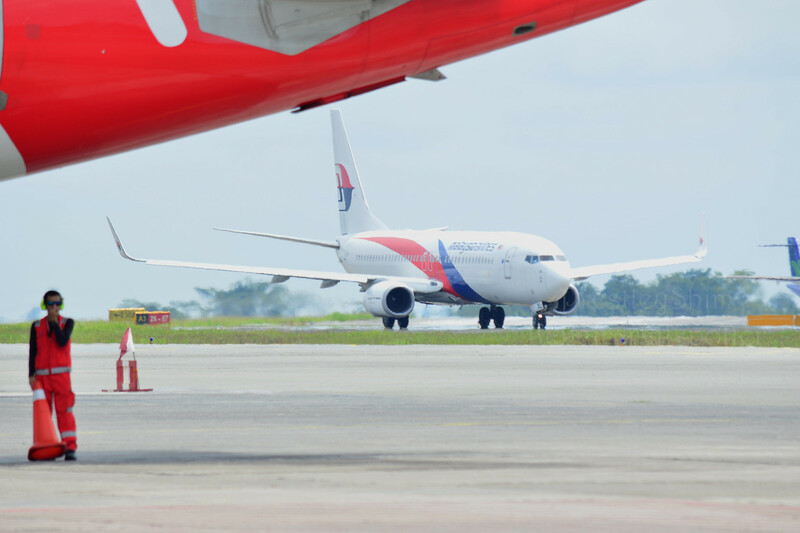 Spoke to Malindo Air's station manager since they will be the ground handler. Hope for a positive answer for me and a few other members to cover the inaugural on the apron. 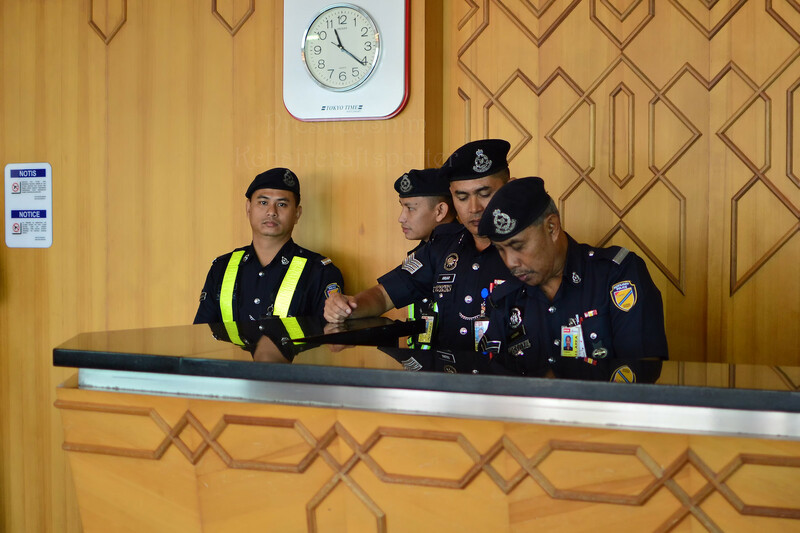 This is the first really good news from KCH in the new year opening. Bring them on, the merrier the better. Great to hear that. 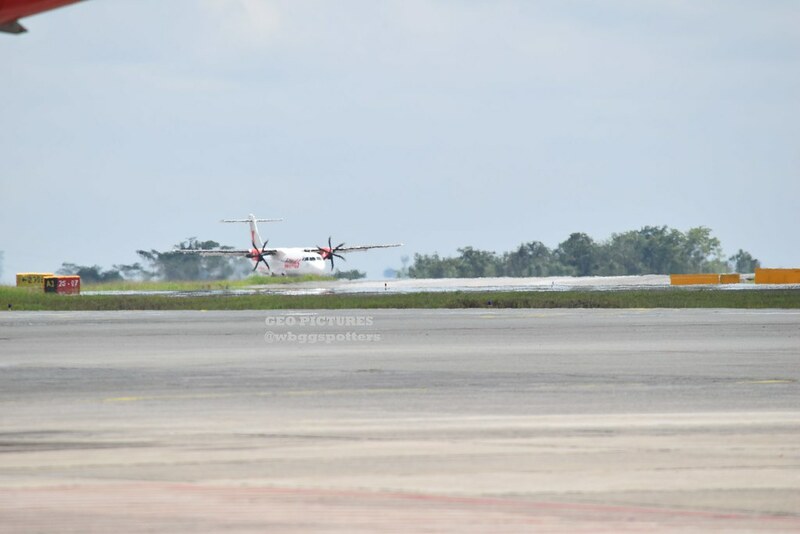 IW's ATR will presumably be parked between Gate 8 and 9, a spot which MasWings used to occupy when they did the PNK run. While waiting to board AK1771 yesterday, I just noticed (probably been there for some time) that there is a passenger marked walkway on the tarmac leading from Gate 8. Looking forward to your pictures, water canon and all. Truth be told, haven't been spotting at all since the New Year. So what better way to kick it all off and open this year's thread with a little bit of celebration! Edited by Prestley Shim, 25 January 2018 - 01:44 AM. 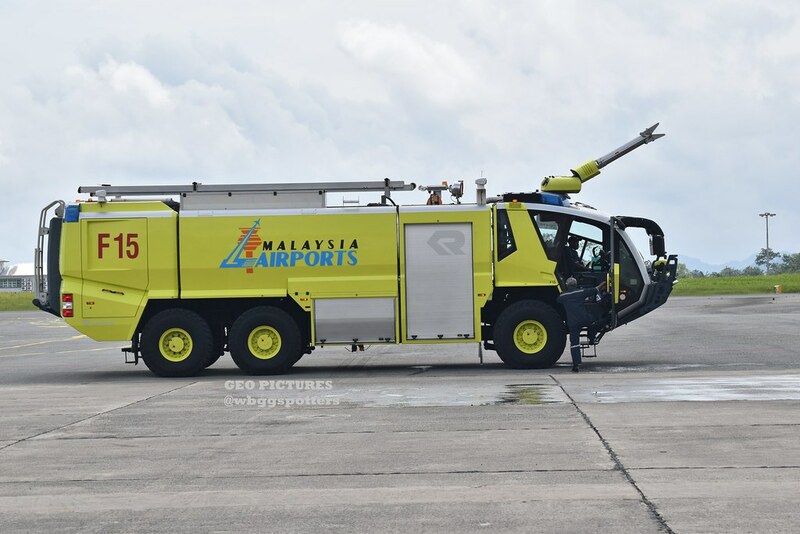 Hello fellow spotters MalaysianWings. It's been a while since I last spot. 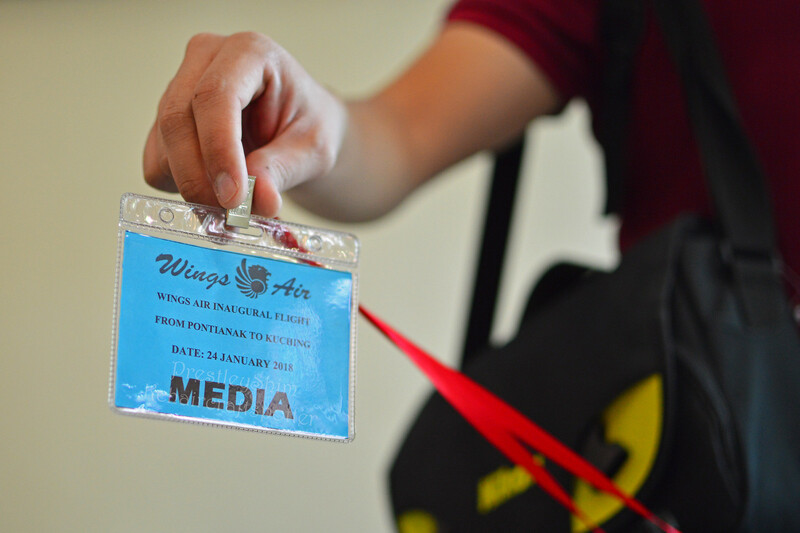 Here's my part for the Wings Air Inaugural PNK-KCH flight. 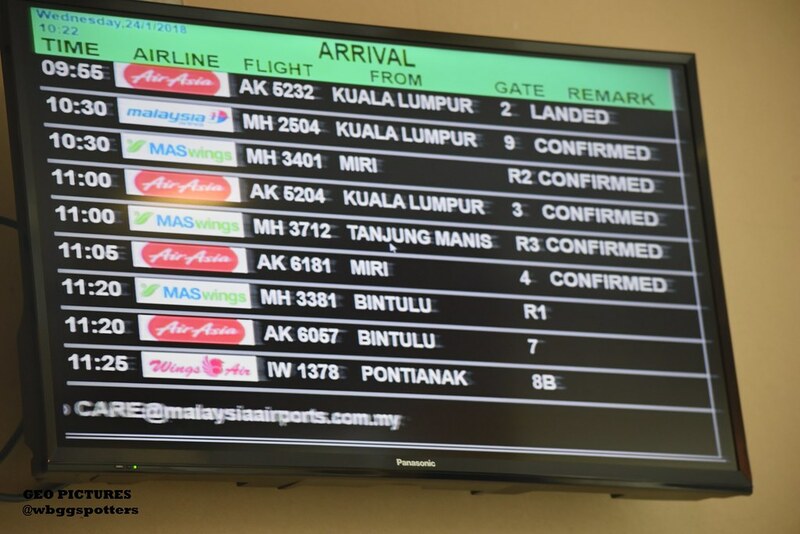 According to the Flight Information Display at the airport, the inaugural flight was supposed to arrived at 11.25am but was delayed about 35 minutes due to late aircraft arrival in Pontianak from previous sector. The venue for the press conference inside VIP lounge of KIA. 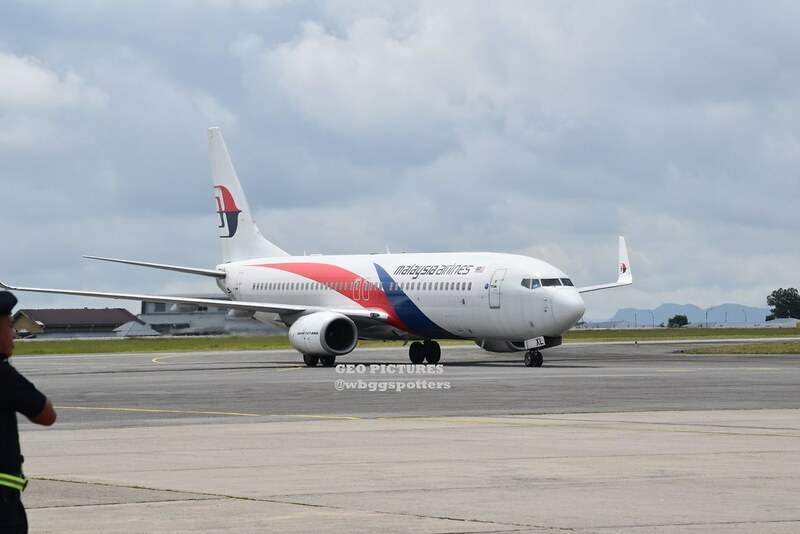 While waiting for the arrival managed to spot few regulars such as this MH B738. 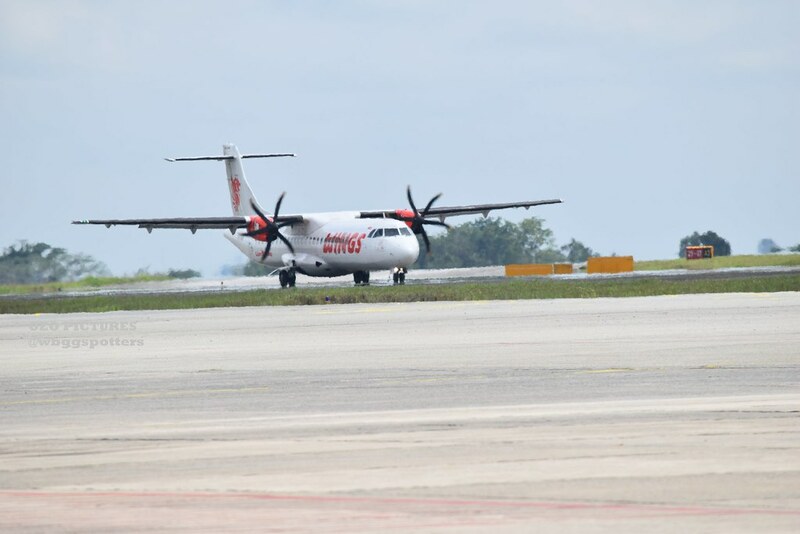 We've seen many airlines come and go in Kuching. 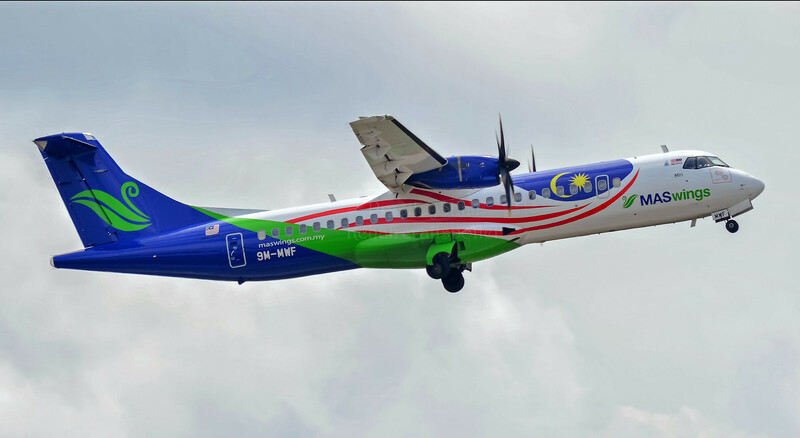 And we have seen multiple carriers ply the Pontianak - Kuching route only to cease operations or to go bankrupt. 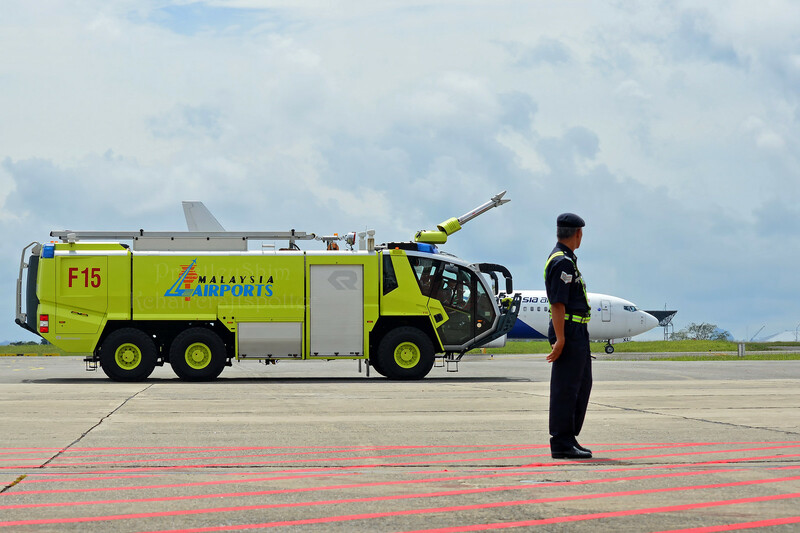 Batavia Air used to be one of them and the most recent player to pull out was our very own MASWings. After that the route was survived and monopolized by Indonesia's XpressAir with exorbitant prices for a 15 minute flight. And then came the unlikely saviour, AirAsia. 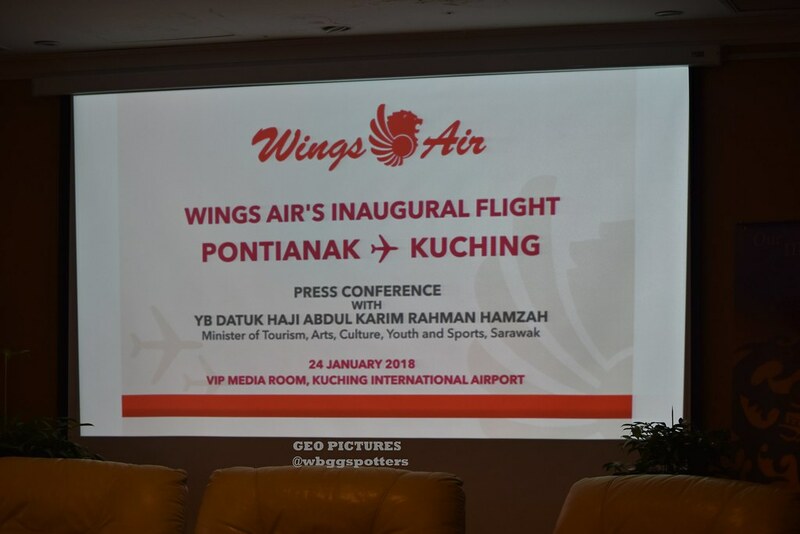 Besides Langkawi in 2017, Pontianak was another one of AirAsia's initiative to open up connections around Kuching with Shenzhen following in December. 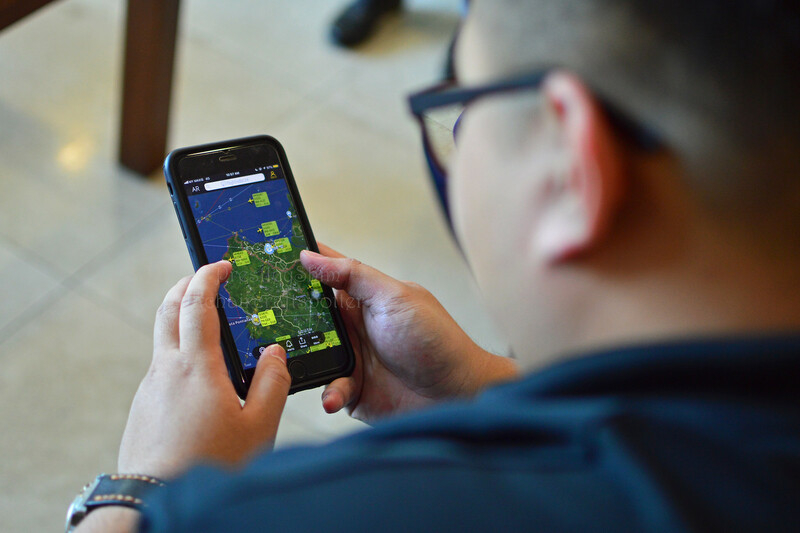 With the introduction of AirAsia in the game now, XpressAir was certainly faced with a worthy competitor with loads dropping soon after. And now, an unexpected player has entered the market. 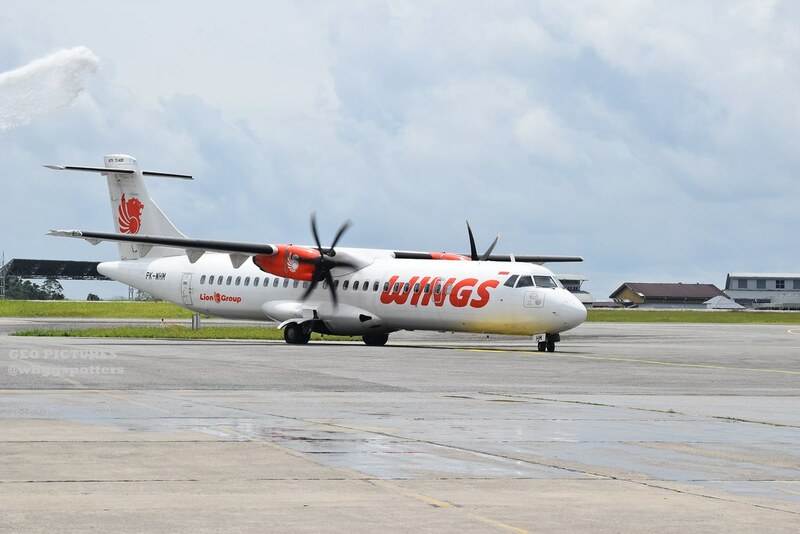 We now welcome Wings Air, a subsidiary of the Lion Group which basically acts as feeders to complement the wide network of connections offered by the Lion Group which is home to Malindo Air, Batik Air, Lion Air and several others. 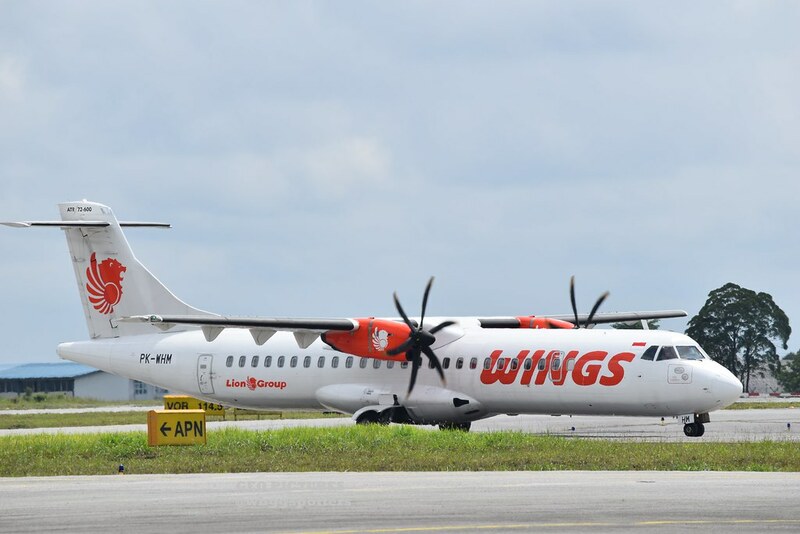 Wings Air operates a fleet of ATR72 aircraft with both the -500 and -600 variant, just like MASWings did once upon a time. 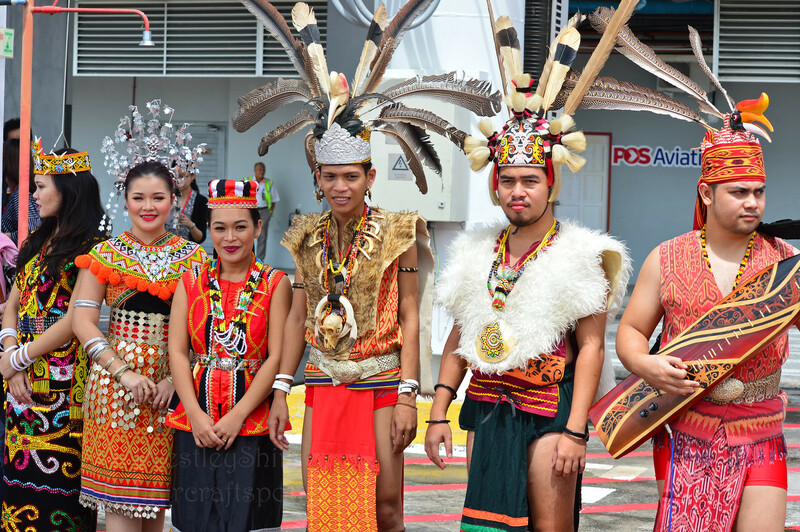 With the introduction of the Pontianak - Kuching route, this will be their first international destination flying out of Pontianak with Miri in the pipes slated to be launched soon this year. 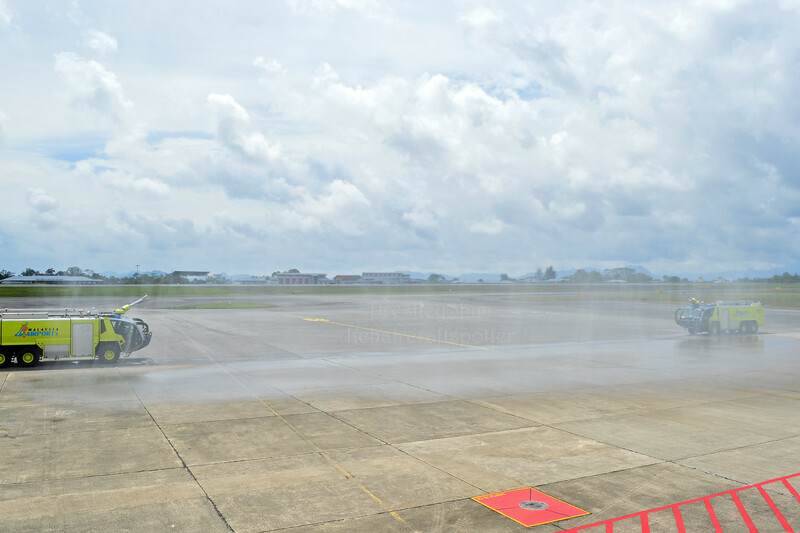 The inaugural flight IW1378 was scheduled to depart from Pontianak at 9.45am Indonesian time and was to arrive at 11.25am Malaysian time. 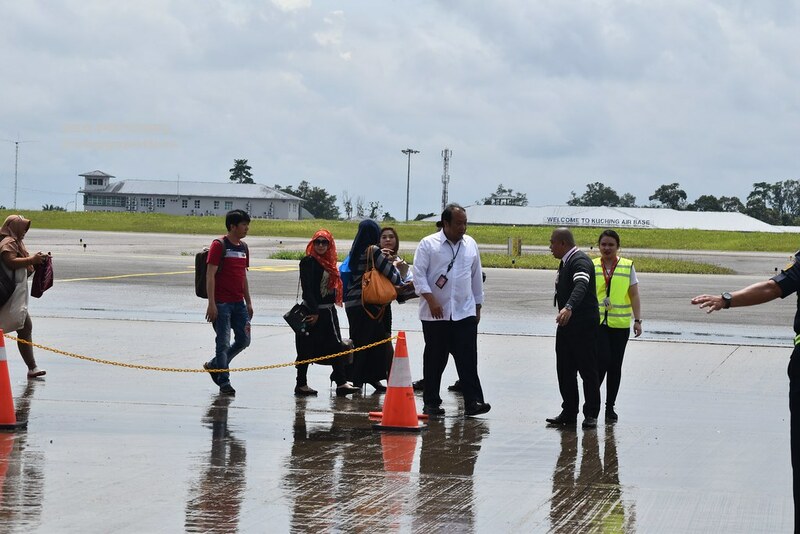 However, due to the inaugural ceremony on the Indonesian side, there was a delay and the flight departed at 10.11am Indonesian time. 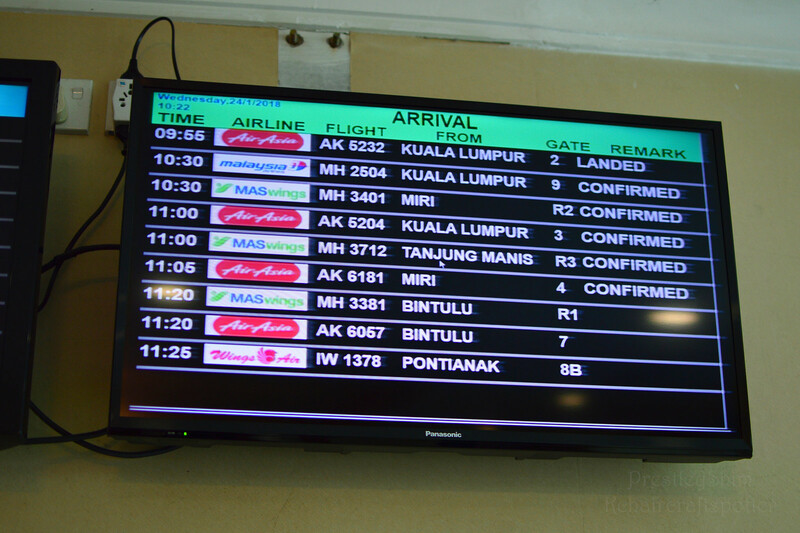 Bay 8B was to be the allocated arrival bay which I believe is specially allocated to ATR aircraft only. Malindo Air Kuching station staff manning the makeshift registration counter for guests and media. All participants were presented with a media and guest tag along with earplugs. A shot with the staff of the day and I assume two of Malindo's flight attendants flown in from KUL. 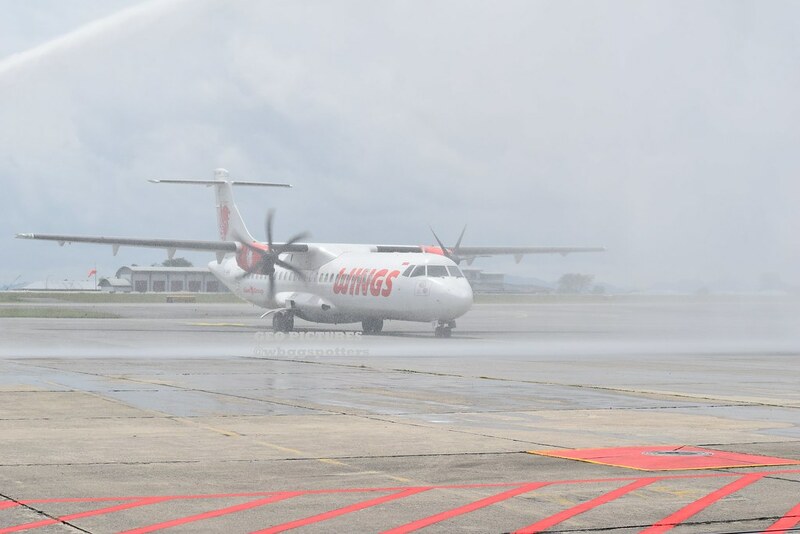 The rightmost person would be Mr Harris Salleh, Malindo Air's Kuching station manager, the person who was very much generous enough to make all this possible for me and the team. Another one for the album with the ramp and security staff. Mr Gio and Walter discussing the game plan for the day. Oliver in the background probably thinking about what's for lunch. Our beloved AVSEC on duty to make sure we don't run off into naughty places we aren't allowed into. Of course, no media coverage will be complete without our RTM videographer. Mr Walter having a look on radar, spying our target for today. Luckily for us, both the -500 and -600 variants of Wings Air's fleet of ATR72 aircraft are trackable on FlightRadar24 and RadarBox24. At 11.50am, we were ushered out to the apron with the aircraft on approach somewhere south of the airfield. We were literally told to 'help ourselves' but not get too near. 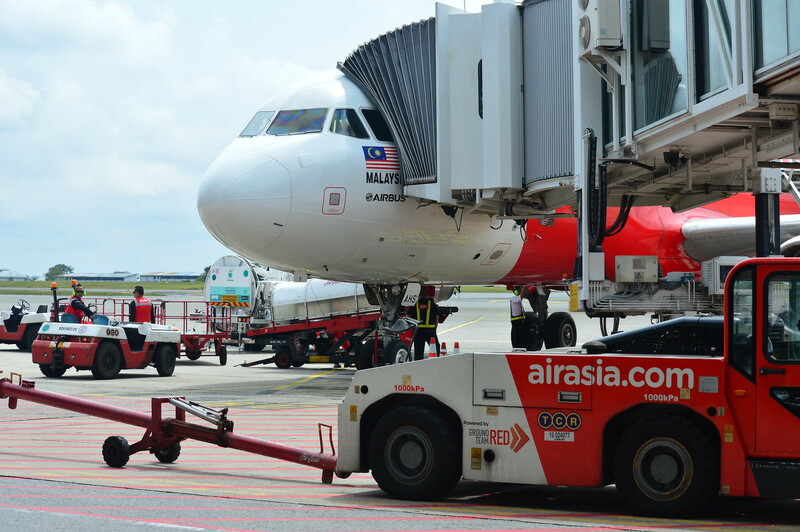 So when the VIP airside doors were open, AirAsia's 9M-AHS stared us right in the face. Wait what, shoot lah! "If it moves, I shoot"
Haven't got a good shot of this aircraft, the nearly identical twin of 9M-MWC. As it was the afternoon, sun was smack right on top. 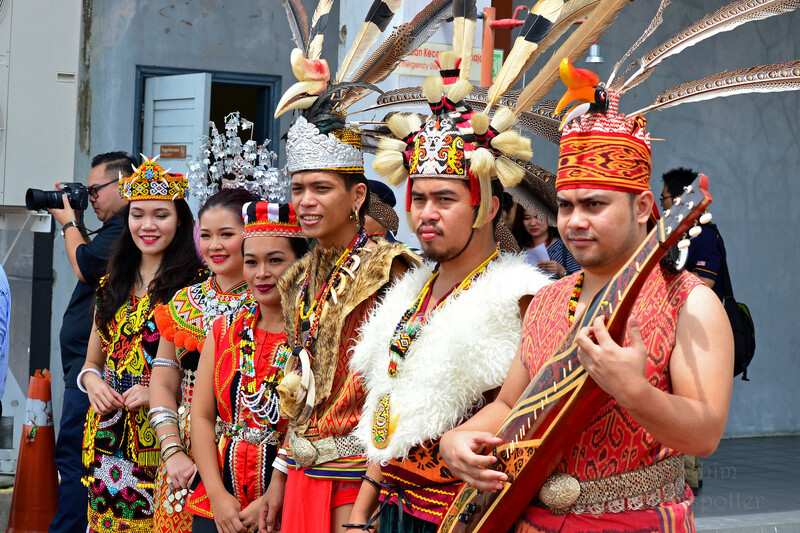 Cultural troupe from Kampung Budaya standing by. AVSEC grudgingly agreed to let Oliver and I up to bay 8's aerobridge. Nicest vantage point I've had in all my spotting years! AFRS too had a practice run to ensure no awkward arches. Or arches of water that don't connect. Edited by Prestley Shim, 26 January 2018 - 02:50 AM. Beautiful photos and write up! 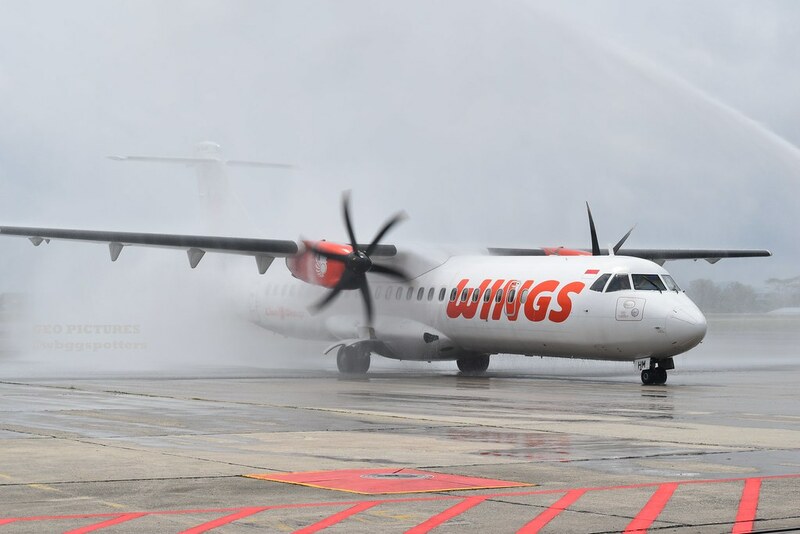 Thanks for sharing and cant wait to see the Wings Air ATR! Thank you! Can't wait to share it here too. Not much of a ceremony but I would rather say, it was a small welcome event and that was it. Followed by a press conference. Someone decided to take this bird from a spin before Wings Air arrival. Probably engine ground run. Owner: Hornbill Skyways Sdn. Bhd. The fire engines that were chosen for the water cannon salute. F17 and F15. 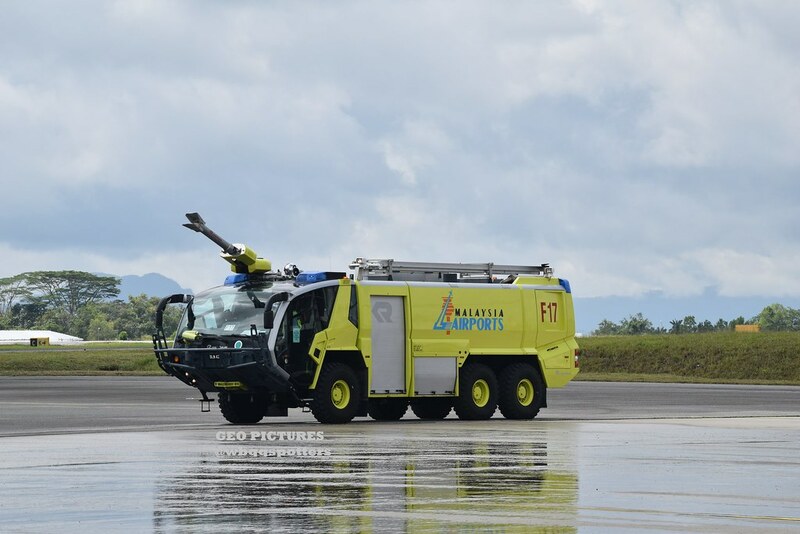 Good job Kuching AFRS! 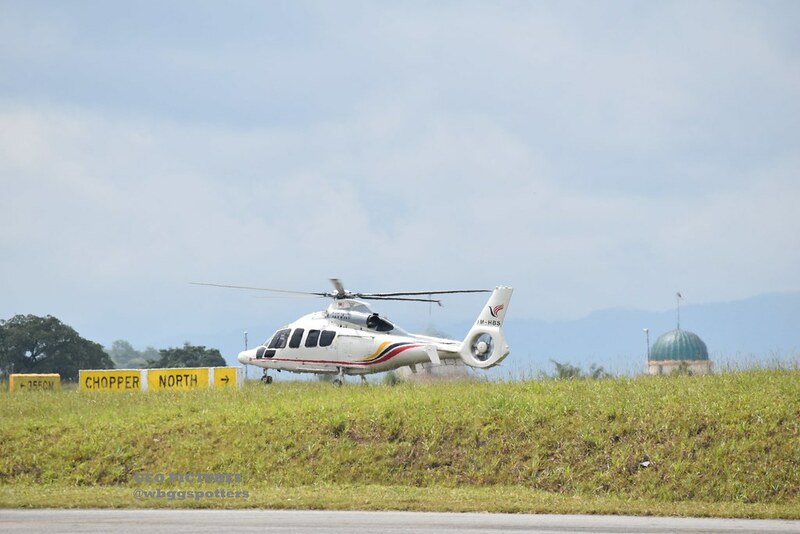 Finally the aircraft that the crowd of VIPs, Medias, AVSECs and AFRS have been waiting for landed. Vacated runway via Alpha3 for Bay 8 Bravo via taxiway Alpha and Bravo. With 72 souls on board. Full house. Entering Bay 8 Bravo with the water cannon started. Water can be seen above the T-tail of the ATR72-600. Wings Air Director of Flight Operations(in white shirt) leading the delegation. Stay tuned for the Press Conference coverage.